Low Density Polyethylene (LDPE) is a sturdy material that has excellent UV, chemical, corrosion, build-up and crack resistance. 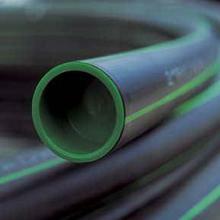 Because of these properties, LDPE creates a resilient, long lasting pipe that is ideal for above and below ground use. LD Poly is used widely in garden and orchard applications for drip, micro and undertree irrigation.